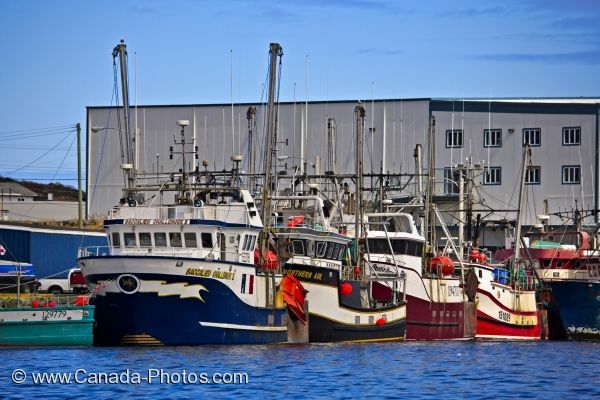 Many commercial fisherman secure their livelihood by heading out daily on their shrimp fishing boats, but at certain times of the year, these boats remain docked in St Anthony Harbour in Newfoundland, Canada. When the pack ice flows into the harbour of St Anthony, it makes it very difficult for the shrimp fishing boats to leave especially when the pack ice beaches itself and blocks the waterways. Picture of shrimp fishing boats docked at St. Anthony Harbour on the Northern Peninsula of Newfoundland, Canada.